Divisions/departments in my organization cooperate and collaborate consistently. Please mark the answer that best reflects your experience. People within my organization share a common vision and/or purpose which can be articulated easily. What in your opinion is the greatest barrier to team within your organization? Group to TEAM Leadership Solutions is a global training and consulting organization that was founded by Certified Professional Speaker, Susan Leahy MA, CSPand business coach Freeman Michaels MA. 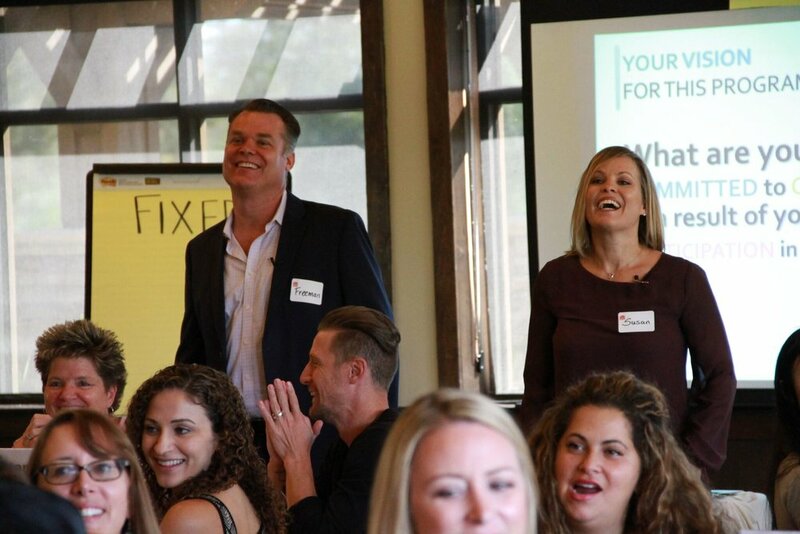 Through keynotes, customized live trainings, webinars, on-line training products and coaching and consulting services, Group to TEAM Leadership Solutions initiates a deeper conversation about what it takes to build viable, self-sustaining, teams. To learn more visit www.GrouptoTEAM.com.